At the outset, our accomplishments on Peleliu would not have happened without the generous and willing support of the Civic Action Teams on Koror. The Civic Action Teams that deploy to Palau are rotated among all three services on a six month rotational basis. Prior to 2004 Navy Seabees were the only units deployed to Palau. The Society owes them a great debt of gratitude for their help. A number of small, but important projects have been undertaken and completed. One of our first projects was the purchase and mounting of the final plaque placed on the Marine Monument located on Bloody Nose Ridge. This effort was greatly assisted by FedEx and Continental Airlines in donating transport. The plaque was placed on the Monument in July 2006 by CAT 40-22 (Navy) led by LTJG Paul Forrester and Chief Steve Harvey and Palauan CAT apprentices. 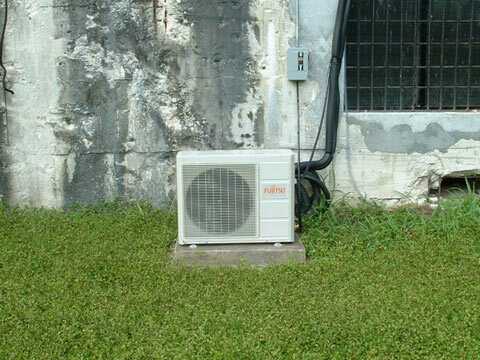 The largest project undertaken to date was installation of air conditioning at the Peleliu War Museum on Peleliu. With purchase of the units by the Society, in December 2006 CAT 07-03 (Air Force) completed installation under command of Capt. Walinski, and assistance of SMSgt John Gibson, TSgt Rubin Long. The donation of labor and material from this CAT unit amounted to almost $15,000. In March 2006 the Society undertook and completed the restoration and repair to the Marine Monument which has sustained weather degradation since its commemoration in 1994. Work included repair of the base and replacement of mortar on the stone surface. In addition, the parameter chain fencing was set in concrete and painted. Assistance in this effort should also go to Cliff and Alex Cruz of Peleliu. 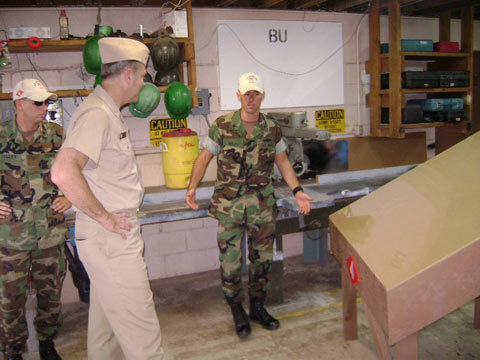 At the request of the Society, CAT 04-29 (Air Force) Master Senior Chief Alex Gray received funding from the NMCB Four, Chief Petty Officers Association for construction of display cases for the Peleliu War Museum. In the photo here, the completed cases are being viewed by Rear Admiral William French before transport to Peleliu. 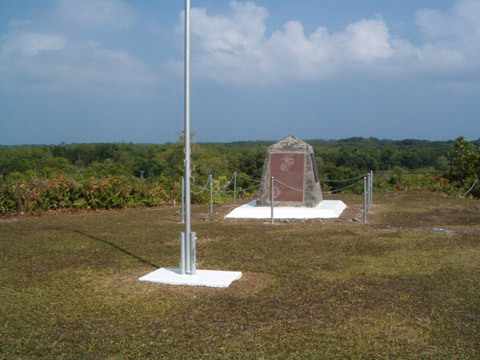 In 2005 the Society was awarded a $44,000 grant from the National Park Service American Battlefield Protection Program to formulate a preservation plan for the Peleliu Landmark. The contract for this work was awarded in January 2007 and will be completed by the end of 2007. The Society is contributing to this effort as well. In other efforts, each year the Society performs a policing of White Beach for debris that washes ashore, often with assistance of the Peleliu State Rangers. 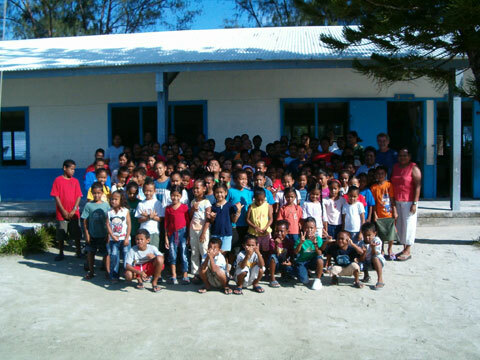 It also has contributed to the Peleliu School Earth Day and in 2007 donated mobile radios to the State Rangers. "Your noteworthy generosity will go along way toward preserving the memory of servicemen who sacrificed their lives on Peleliu. Without your donation, World War II war remnants may have been lost forever. It takes leaders like you that truly make a difference."